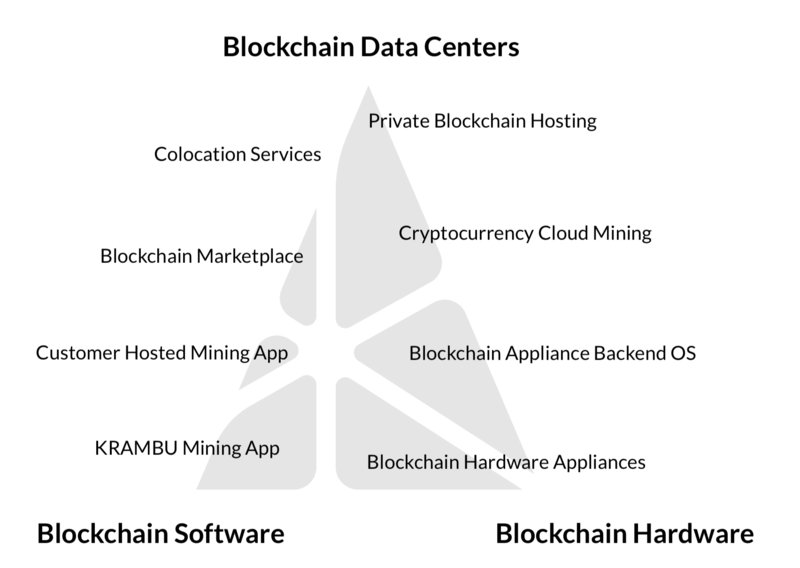 With a diverse, yet focused area of expertise, the KRAMBU TRIAD indicates the three core technologies we develop in-house: blockchain data centers, blockchain hardware, and blockchain software. As one of the strongest geometric shapes, the KRAMBU TRIAD is represented by our triangular brand mark with a central beacon of light. The three key areas of emphasis provide strong and diverse blockchain products and services while also illuminating a unified mission. With decades of technical expertise, KRAMBU has been involved in the cryptocurrency space from the beginning. From running the largest Bitcoin mining operation in the world to building software solutions utilized by Fortune 100 companies, our team has a proven track record of technical proficiency and experience. Gave the first ever TED Talk on cryptocurrency and Bitcoin. Launched KRAMBU enterprise mining & blockchain hosting services. Our hardware expertise is derived from a long history of consulting and servicing the world’s leading hardware manufacturers. This includes top technology clients such as Intel, Microsoft, NVIDIA, AMD, Siemens, etc. Our software expertise comes from building software solutions utilized by Fortune 100 companies such as Apple, Google, NASA, etc, and deploying software products to countless users worldwide. Our team has experience in cryptocurrency mining, and previously operated the largest independently owned Bitcoin mine in the world from 2010-2012. As the altcoin industry flourished and ASIC hardware manufacturing consolidated the market, we pivoted to specializing in the more adaptable GPU mining industry. As the blockchain world continues to evolve, we are constantly innovating our hardware to stay at the cutting edge of this rapidly evolving industry. KRAMBU is primarily located in the Pacific Northwest region of the United States. We located our company in the United States to provide the regulatory conditions that gives our customers assurance in our legitimacy and long-term stability. Our specific location was chosen for its cool climate to reduce cooling costs and it’s inexpensive hydroelectric power. Energy costs are one of the greatest expenses for large-scale computing operations. Providing competitive pricing for these services necessitates cheap and abundant energy. Access to hydroelectric electricity means KRAMBU is powered by a clean and sustainable energy source.